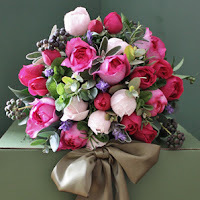 Whether they come from the flower paddocks on its farm in Hampshire or from its sustainably-run farm in the foothills of Mount Kenya, The Real Flower Company’s flowers are irresistible. Growing flowers this glorious is a labour of love. From preparing the soil to planting and harvesting, every single flower bed is tended by hand. The stems are individually selected, cut, prepared and tied by the team. The Real Flower Company believes they are worth the effort and so do Horticultural Week and Grower Magazine, which awarded The Real Flower Company the ‘Cut Flower Grower of the Year 2009’ trophy. 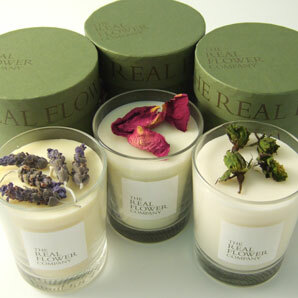 The Real Flower Company aims to be a responsible employer, an accountable business, and to help the environment. Its Hampshire farm is part of the Countryside Stewardship Scheme and it farms under the LEAF marque, linking farming and the environment. Nesting boxes attract insect loving birds, and no weed killers are used on its flower beds. Also under the LEAF marque, the Kenyan farm is a Gold member of The Kenya Flower Council. Employing more than 300 people in the area, it is pioneering water management techniques with its sustainable water use. It also supplies vegetables for the local schools. 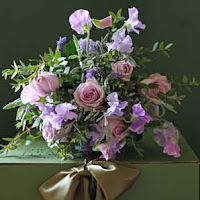 Flowers can be delivered the next day from Tuesday to Saturday if the order is placed by 2.30pm the day before. 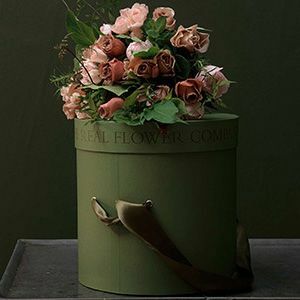 Untying the wide satin bow and opening the lid of the rich green square delivery box releases the flowers’ heady perfume and reveals the delightful colours of your chosen bouquet. The flowers are wrapped in tissue and cellophane, with their stems contained in a water bubble to keep them fresh during their journey. Your message, carefully handwritten by The Real Flower Company team, is enclosed, together with flower food and care instructions. Treat mum with a beautiful bouquet of flowers this mothers day from the real flower company .